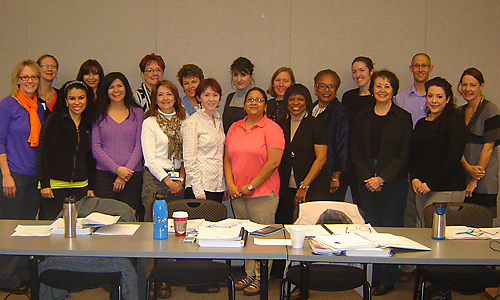 In December, The Diabetes Training and Technical Assistance Center (DTTAC) hosted a Diabetes Prevention Program Lifestyle Coach Training, led by DTTAC Master Trainer Erica Hale, in Denver, Colorado. The new Lifestyle Coaches represent nine organizations from across the state, including the American Diabetes Association, the San Luis Valley Regional Medical Center and the Center for African American Health. "The training was GREAT! It reinforced why I do what I do. The knowledge the trainers had was invaluable." "The National Diabetes Prevention Program gives me the opportunity to make a difference in the lives of so many others who want to change their lifestyle and lead a healthier life."